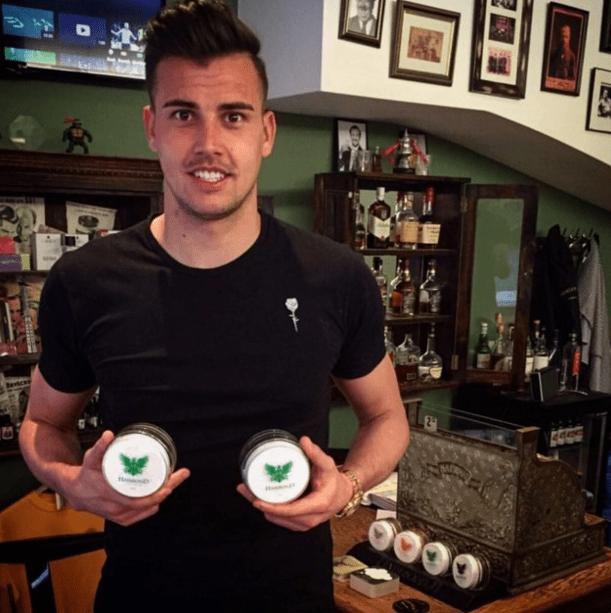 Karl Darlow (born 8 October 1990) is an English professional footballer who is the goalkeeper for English football club Newcastle United. Here he is clutching not one but two Hairbond Distorter hair clay’s at the Patrick Forster Barber & Shop, in Newcastle. Karl is one of many football players to get their hair trimmed with Paddy. Patrick has been a Hairbond brand ambassador and stockist since the brand went global, educating his clients in Newcastle on how this hair clay and all other Hairbond styling products work best. If you are looking for mens hair styling products but want something to be proud of, why not try a Hairbond Distorter Professional Hair Clay today! Interestingly Karl is also the grandson of former Wales international forward Ken Leek who was part of the Welsh 1958 World Cup squad. However Ken’s duties were at the other end of the pitch, scoring a total of 145 goals in the Football League from 396 appearances with five clubs. Darlow though was a product of the Aston Villa and Nottingham Forest academies and over his career has spent time on loan at both Newport County and Walsall FC.